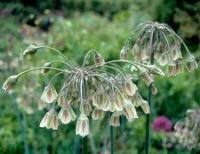 Planting flowerbulbs is one of my favorite fall gardening tasks. I like to do this on crisp, sunny autumn days, knowing that in a few months crocuses, tulips and daffodils will brighten winter-weary spirits. If you plan carefully, the show can last from late winter to June. 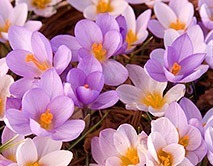 The beauty of spring-flowering bulbs is their incredible variety, in size and shape, color and bloom time. In fall when the garden is still full of foliage from summer’s perennials, it’s hard to recall how stark the beds can look in early spring. So be sure to plant abundantly so your spring show has impact. If there’s one bulb that seems to personify spring, it has to be tulips. These bulbs are the ultimate visual spring tonic, and there are scores of wonderful tulip varieties to choose from. You can even go for the drama of ‘black’ tulips. Next to tulips, daffodils are amongst the best-loved spring bulbs, and unlike tulips, their flowers are deer and squirrel-proof. Beloved for their spring fragrance, modern hyacinths come in showy colors, and are easy to force for indoor display. Tulips may be the most popular spring flowers, but there are many lovely, easy-to-grow, lesser-known bulbs: windflowers (Anemone blanda), wild hyacinth (Camassia), guinea-hen flower (Fritillaria meleagris), Persian fritillaria, (Fritillaria Persica) and Bulgarian ornamental onion (Nectaroscordum siculum). Fortunately, most of them are unappealing to deer and squirrels. 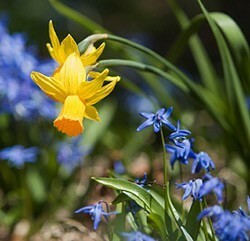 If you’re looking for easy-care gardening, many of these lesser known, unusual spring bulbs naturalize. That means they come back year after year, spreading if they’re happy. 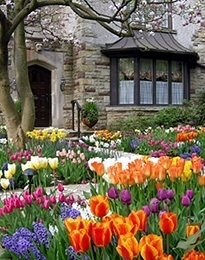 What if you Didn’t plant bulbs last fall? If you bought bulbs but forgot to plant them, here’s what you can do.